The Alvis TB14 sportscar had been disappointing to the company, only 100 examples were built and the car was criticised for its bold styling. 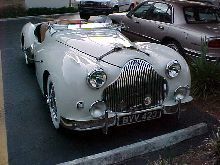 In 1950 Alvis decided to have another go and launched the TB21. 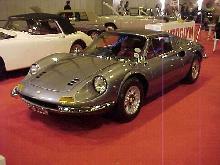 The TB21 used the same body as the earlier TB14 but now incorporated a more tasteful and traditional front grille. The TB21 used the same six cylinder engine as the TC21 saloon models and so this meant better performance than the previous car with a top speed close to 100mph. 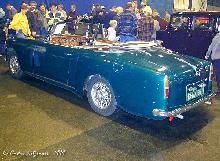 Like other 3 litre Alvis models it had independent front suspension. 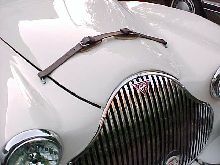 Despite the cars improved styling only 31 examples of the TB21 were produced before the model was dropped in 1953. 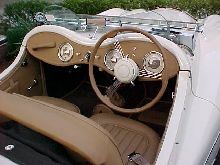 1950 Alvis, Sarasota, Fl Interior view.